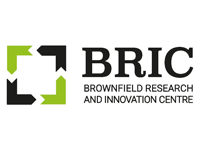 The Brownfield Research & Innovation Centre (BRIC), an ERDF supported project, was established to address the issue of lack of redevelopment of brownfield sites across the Black Country; there are over 1000 of these sites across the region and many have been abandoned for 30-40 years. With pressure continuing to grow to make land available for a range of purposes including new housing, the need to bring as many of these brownfield sites back into use is becoming urgent. BRIC is seeking to address this need by working with a range of black country organisations, including SMEs, to de-risk brownfield redevelopment through the provision of information, support and suggestions for how land can be remediated and buildings restored. At the heart of this work is the development of comprehensive GIS based brownfield register that brings together information on ownership, planning permissions and restrictions, previous land-use, contamination, geology, soil, water table, access to utilities and roads, remediation methodologies, the possible costs of bringing a site back into use and innovative approaches to allow sites to become useful again. It is hoped that this register will provide enough information to allow sites to be quickly identify and for the potential of those sites to be more accurately evaluated, and ultimately lead to more brownfield land being redeveloped in Black Country. BRIC will make use of virtual and augmented reality to allow information to be accessed in a user-friendly way, for example pollution levels across a site, the appearance of a derelict building after renovation, or how a housing development would be integrated into a site. One of the key elements of the work being undertaken is the development of BRIC index. This will allow predictions to be made about the type of contamination present on a site based on previous land use and on the basis of these predictions providing an estimate of remediation costs. Essentially the BRIC Index will provide a cost benefit analysis for brownfield site redevelopment. At a practical level BRIC is sharing gathered intelligence and expertise with organisations in the public and private sectors and engaging with businesses, providing suggestions for how land and buildings can be restored, remediated and bought back into use. BRIC is seeking to engage with organisations in the public and private sector that are involved in remediation and redevelopment of brownfield sites, whether they are local authorities, landowners, land developers, remediation companies, construction companies or housebuilders. The event will offer BRIC an opportunity to present and obtain feedback on the work already undertaken and discuss the future direction of the project. The event will also be an opportunity to discuss and provide solutions to overcome the barriers to the redevelopment and reuse of brownfield sites. Participants will be actively encouraged to provide suggestions, practical examples and develop new approaches to allow more brownfield sites to be brought back in use.